Have you got an interest in the prophetic? Have you received the ability to give personal prophecies? Do you think that you may be called to be a prophet or a prophetess? Do you want to get an idea about the prophetic and find out some things about personal prophecy? Well you have come to the right place. This book has been lovingly written for the person who is very new to the prophetic. Are you beginning? Do you want to know what it takes to become a prophet who has become accurate and competent in delivering prophetic words and other duties of a prophet? In this book you will: * Learn the many advantages of personal prophecy * The effect prophecy has on people * What will be required of you to become a prophet * See that the path to becoming a prophet isn't an easy one. Come and explore what your life will look like as a prophet. Come and get a glimpse into what you can expect. Take some time out to be encouraged to continue on your own prophetic journey from someone that has been before you. Matthew Robert Payne was called to be a prophet from the womb but didn't come to know he was called to be one for many years later. The call on his life has been an expensive one and he has had a life fraught with difficulties. The call on every prophet's life will be unique. Matthew was born again in a Baptist church, though one day walked into a Pentecostal church and he was imbued with the gift of prophecy and other gifts as the Lord had plans for him. Today he ministers to many people online and face to face. He is single and resides in Sydney, Australia. After obtaining my degree in Elementary Education and minoring in English, I taught for two years in Canada. However, I decided to pursue other career options until I eventually married, had two children and returned to teaching, in that order. I stumbled back into writing after chatting with a friend about various options for online work. The rest, as they say, is history. I have been writing, editing and proofreading full-time since 2009, apart from a brief foray back into the classroom, and thoroughly enjoy this venture. In my spare time, I hang out with my two teen boys. I am also an avid reader and consider that an integral part of my job and a \"necessary evil\"-and I use that term very loosely! I have written and sold approximately 8,000 articles and a total of more than 2,000,000 words over the past six years. Yes, you read that right-two million words. In addition, I have proofread or edited 13 books as of Nov. 21, 2015, and am working on the fourteenth. Clients include a self-made millionaire, an actress, pastors, ministers, a retired woman, an insurance agent and more from coast to coast and in Canada. Prophet/Prophet John Veal is a highly sought after conference speaker due to his uncanny prophetic accuracy, humor, realism and unconventional preaching style. He is especially passionate about educating, imparting and activating the prophetic DNA that is within every saint of God. Prophet Veal has traveled the nation doing a myriad of prophetic trainings and ministry. He is the husband of one faithful wife, Pastor Elisa Veal, and the father of three beautiful girls. 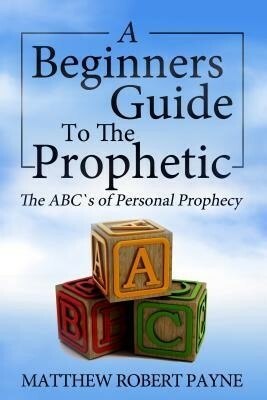 I'm the author/artist and I want to review The Beginner's Guide to the Prophetic: The ABC's of Personal Prophecy.